I know, I know... part of the joy of trick-or-treating on Halloween is the candy. I am not disagreeing, here. I am not suggesting that everyone give up passing out candy--our neighborhoods would probably experience tiny riots if we did! But what I am suggesting is that while your neighbors hand out the Snickers and the Lemonheads and the Reeses and the Twizzlers, you might consider taking a non-candy route to include some of the kiddos who are out for the fun with their friends and family and who may have to hand over their full stash at the end of the evening for their own safety. Whether we realize it or not, we probably all have friends--or children of friends--with dietary restrictions. And whether those are due to allergies, or sensitivities, or preferences, they're there. 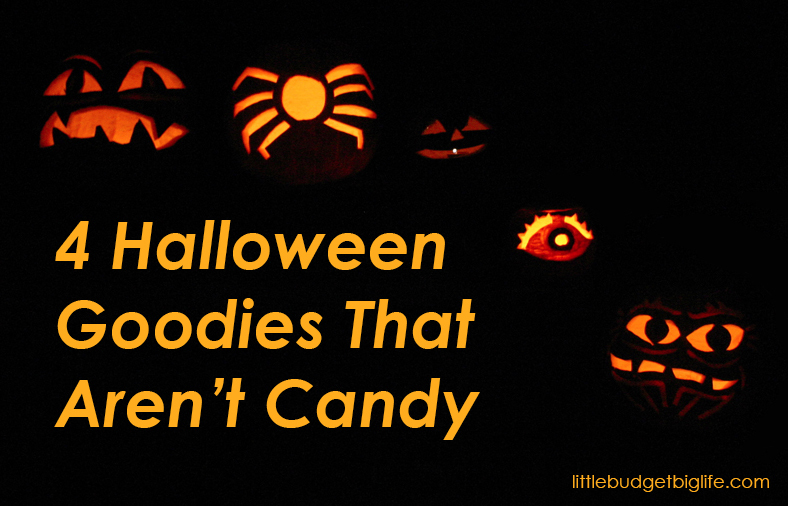 Here are five fun non-food items you can hand out to trick-or-treat-ers. What kid doesn't like glow sticks (and necklaces and bracelets)? You can crack them for use right there on the spot and they can be enjoyed for the evening. They also add a layer of protection for kids walking the dusky and dark streets. You can find them at the Dollar Tree. Again, stickers are great! You can find a variety of styles and characters just about anywhere. Dollar Tree and Dollar General are my favorite places to look for them. Check the party favor section of any general store for temporary tattoos. I know you can find a variety, from popular characters to symbols, and Pip thinks they're great. Also available in the party favor section of general stores--including dollar stores--tiny bottles of bubbles are fun for kids of the trick or treating age. Additional note: please do not mix your inedible goodies with your candy. Contact allergies may prevent children from even touching them if they've been in a bowl with, say, something that contains peanuts.